[Jolse] Review: Pyunkang Yul Essence Toner - Sweet Beauty Reviews: Korean Skincare and Beauty. Hola, sweeties! Hoy les tengo la reseña de este famosísimo toner que además cumple la función de esencia. Como les conté en mis reseñas anteriores de esta marca, Pyunkang Yul se esfuerza por incorporar solamente los ingredientes necesarios a sus productos basados en la medicina tradicional coreana. Me encanta que sean productos suaves para la piel pero efectivos. 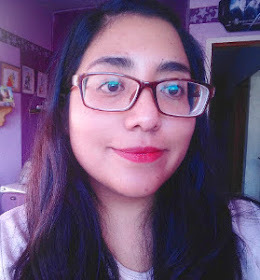 Les adelanto que este toner me ha gustado muchísimo y que me ayudó mucho en el último brote hormonal que tuve. Espero que les guste la reseña, empecemos! Hello, sweeties! Today I have the review of this famous toner that also fulfills the function of essence. 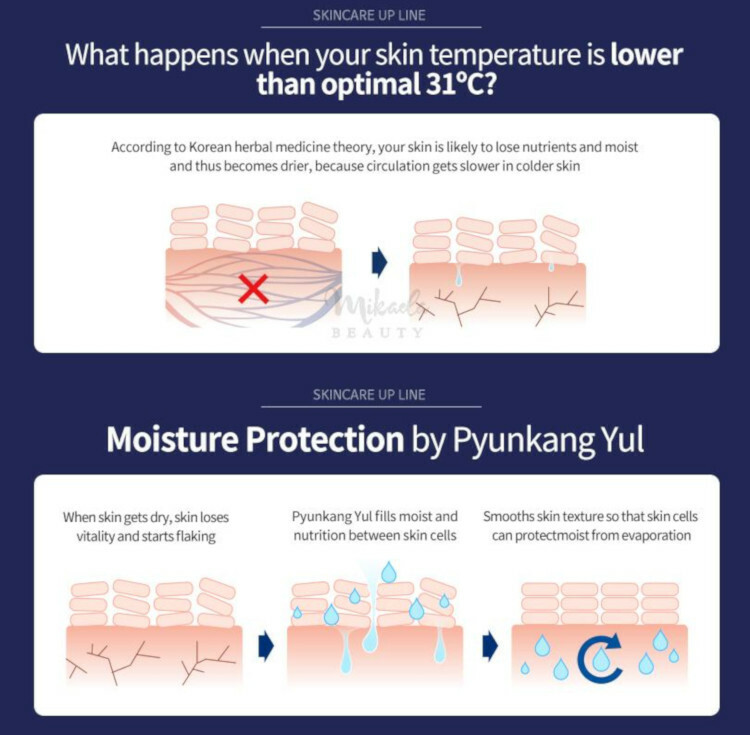 As I told you in my previous reviews of this brand, Pyunkang Yul strives to incorporate only the necessary ingredients to its products based on traditional Korean medicine. I love that they are gentle but effective skin products. I spoil you that I liked this toner a lot and that it helped me a lot in the last hormonal outbreak I had. I hope you like the review, let's start! - Cumple la función de toner y esencia en un solo producto. - Contiene 91.3% leche de extracto de raíz de vicia (vetch), planta medicinal rica en betaína y minerales. - Propiedades antioxidantes y anti-inflamatorias. - Brinda hidratación y nutrición intensa mejorando la elasticidad de la piel. - Es de textura densa tipo gel, sin fragancia, colorantes e irritantes. - Fortalece e ilumina la piel. - It fulfills the function of toner and essence in a single product. - Contains 91.3% milk vetch root extract, medicinal plant rich in betaine and minerals. - Antioxidant and anti-inflammatory properties. - Provides intense hydration and nutrition improving the elasticity of the skin. - It is gel dense texture, without fragrance, colorants and irritants. - Strengthens and illuminates the skin. Astragalus Membranaceus Root Extract, 1,2-Hexanediol, Butylene Glycol, Bis-PEG-18 Methyl Ether Dimethyl Silane, Hydroxyethylcellulose, Carbomer, Arginine. Este toner viene dentro de una botella de plástico azul con un dispensador muy sencillo pero eficiente, pues al tener una consistencia tipo gel permite que podamos extraer solo la cantidad necesaria que queremos usar. Contiene 200ml y después de 3 meses de uso no he utilizado ni la cuarta parte del producto, por lo que rinde muchísimo. Dentro de los toners hay diferentes tipos y yo los divido en: refrescantes, hidratantes densos y exfoliantes. Este es un toner hidratante denso pues hace también la función de esencia y tiene una consistencia pesada tipo gel. Mi piel mixta lo absorbe muy bien y aunque he leído que hay personas a las que les queda tirante la piel a mí no me sucede nada de eso, sino que mi piel queda suave e hidratada. Eso sí, tarda un poco en absorberse por su misma consistencia, por lo que trato de darle unos minutos antes de aplicar el siguiente producto, pero una vez seco me queda muy bien. Cada piel es diferente y pienso que hay que darle su tiempo a cada producto. En mi caso, después de 3 meses de uso puedo decirles que es un producto muy bueno, pues hidrata muy bien la piel sin irritarla, aunque tu piel esté en las peores condiciones. Mi forma favorita de aplicarlo es directamente con las manos pues con el algodón siento que se desperdicia mucho producto y no vi ninguna diferencia. Además mi piel no lo recibe igual y queda una sensación pesada en la superficie, cosa que no pasa cuando lo aplico directamente con las manos. 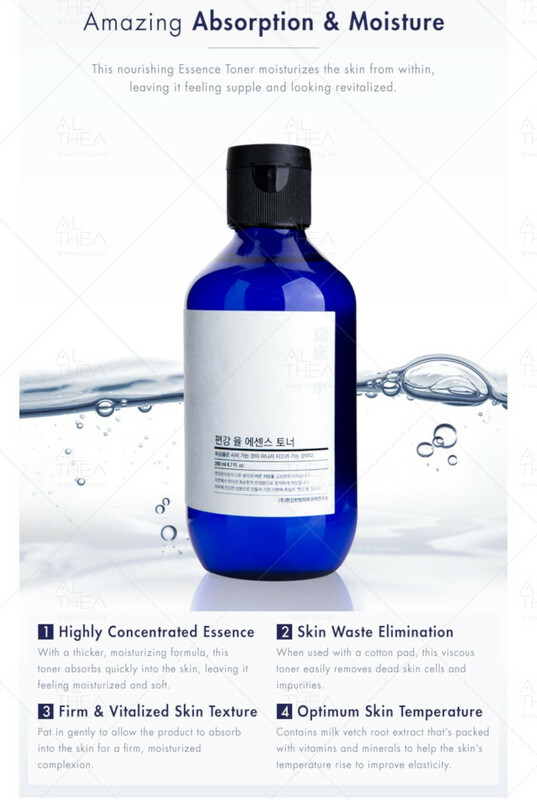 This toner comes inside a blue plastic bottle with a very simple but efficient dispenser, having a gel-like consistency allows us to extract only the necessary amount we want to use. Contains 200ml and after 3 months of use I have not used even a quarter of the product, so it will last me a lot. There are different types of toners and I divide them into: refreshing, moisturizing dense and exfoliating. This is a dense moisturizing toner because it also does the essence function and has a heavy gel-like consistency. My combo skin absorbs it very well and although I have read that there are people who felt their skin tight that doesn't happens to me, my skin feels soft and hydrated after its use. Of course, it takes a while to be absorbed by its same consistency, so I try to give it a few minutes before applying the next product, but once it dries it feels great in my skin. Each skin is different and I think you have to give your time to each product. In my case, after 3 months of use I can tell you that it is a very good product, because it hydrates the skin very well without irritating it, even if your skin is in the worst conditions. My favorite way to apply is directly with my hands because with the cotton I feel that a lot of product is wasted and I did not see any difference. In addition, my skin does not receive it the same way and there is a heavy feeling on the surface, which does not happen when I apply it directly with my hands. Algo que definitivamente llama la atención es la lista de ingredientes. Como podemos ver en el análisis de Skincarisma ninguno de ellos es peligroso o irritante para la piel, por lo que puede usarlo todo tipo de piel, incluso la piel irritada y sensible. Al no contener alcohol la absorción tarda y hay que palmear la piel pero no deja sensación pegajosa ni pesada en la piel. 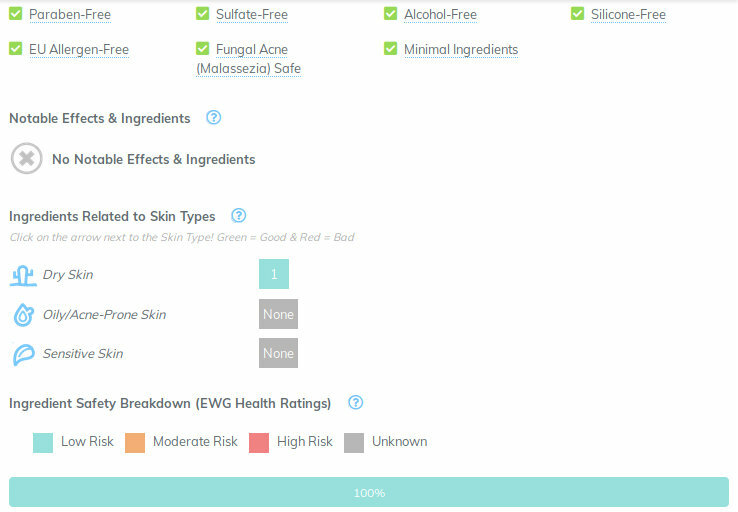 En general, Pyunkang Yul es un ejemplo de cómo un producto puede contener solo los ingredientes necesarios y seguros para cumplir su función sin irritar la piel, basados en ingredientes calmantes que se han usado por muchos años. Something that definitely stands out is the list of ingredients. 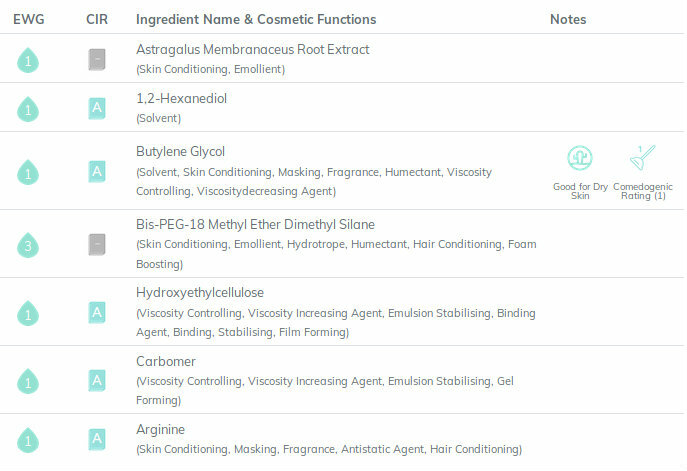 As we can see in Skincarisma's analysis, none of them is dangerous or irritating to the skin, so it can be used by all types of skin, including irritated and sensitive skin. As it does not contain alcohol, absorption takes time and you have to pat the skin but it does not leave a sticky or heavy feeling on the skin. In general, Pyunkang Yul is an example of how a product can contain only the necessary and safe ingredients to fulfill its function without irritating the skin, based on soothing ingredients that have been used for many years. El ingrediente principal (Astragalus Membranaceus Root Extract) es un potente antioxidante y desinflamatorio usado en la medicina tradicional coreana. Definitivamente este toner me ayudó muchísimo a desinflamar mi piel del acné hormonal que tuve. Era el único toner que podía usar de los que tenía en ese momento y a pesar de que lo apliqué sobre mi piel lastimada no me irritó en ningún momento, sino que me hidrataba, calmaba y desinflamaba mi piel. The main ingredient (Astragalus Membranaceus Root Extract) is a powerful antioxidant and anti-inflammatory used in traditional Korean medicine. Definitely this toner helped me a lot to reduce inflammation of my hormonal breakout. It was the only toner that I could use from the ones I had at that moment and even though I applied it to my hurt skin it did not irritate me at any time, but it hydrated me, calmed and deflated my skin. CONCLUSIÓN: Es un toner que es seguro de usar, se ha convertido en mi favorito para este invierno porque me aporta la hidratación que necesito y me ahorra tiempo en mi rutina al ser tanto toner como esencia. Los ingredientes son buenos y no irrita ni lastima la piel. Mi piel mixta lo ama y me ayuda a desinflamar y calmar mi piel. Puedes encontrar este producto en Jolse por $17.55USD aproximadamente. Jolse me envió este producto para reseñar pero mi opinión ha sido completamente sincera. ¿Qué les ha parecido? ¿Cuál es su toner hidratante favorito? CONCLUSION: It is a toner that is safe to use, it has become my favorite for this winter because it gives me the hydration I need and saves me time in my routine by being both toner and essence. The ingredients are good and it does not irritate or hurt the skin. My mixed skin loves it and helps me to reduce inflammation and soothe my skin. You can find this product in Jolse for approximately $ 17.55USD. Jolse sent me this product to review but my opinion has been completely honest. What do you think? What is your favorite moisturizing toner?